Ready to be wowed by the WOW Embossing Powder collection? 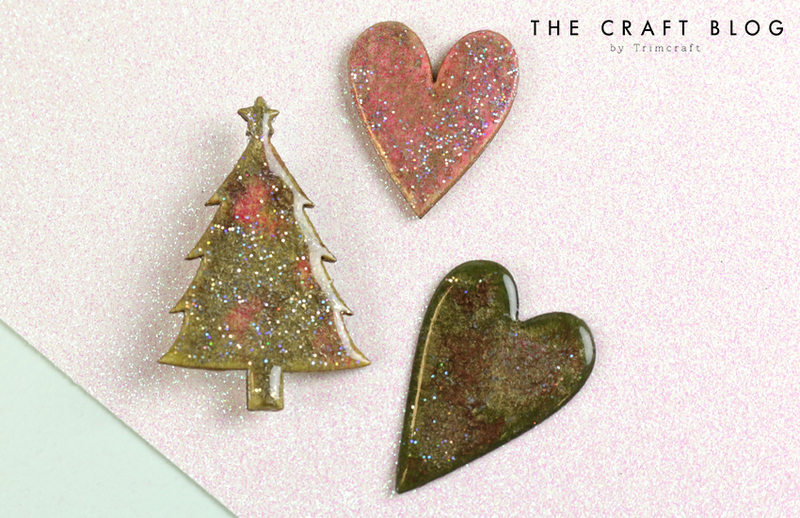 Today Maxine is going to show you how to make the cutest brooch that will add the perfect sparkle to any outfit during the festive holidays! 1. Press the embossing pad on to the Dovecraft Wooden Tree Shape. 2. Cover the tree with the green embossing powder, tip away the loose powder, heat with the heat gun. TIP Use a peg to hold the tree whilst heating, to prevent burning your fingers. Don't hold the heat gun too close to the tree and use a low heat setting. 3. Allow the tree to dry and cool for a few seconds, before pressing it into the embossing pad. Sprinkle different coloured powders on to the tree, tip away the loose powder. Heat with the gun as before. 4. Allow to dry and cool, before adding another layer of embossing ink. Add the gloss powder to the top of the tree, tip off the loose powder before heating as before. You may want to add another layer of gloss to finish off. 5. Adhere the brooch back to the tree. What a cute accessory for Christmas! You could also create a topper for your papercraft or upcycling project by using the same technique on a different wooden shape! Maxine has used different shaped hearts, and added different embossing powder colours to really make these hearts shimmer! How will you use the WOW Embossing Powders? We’d LOVE to see so don’t forget to #trimcraft when uploading to social media and to share your projects in the Inspiration Area.